Sakura blooms in April, lots of visitors come to Asakusa to see the flowers. 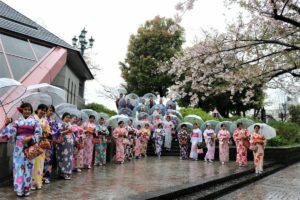 Also hundreds of costumers come to HANAKA to wear on Kimono. We have many kinds of Kimono for you to choose, just like the flowers. 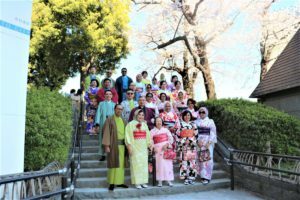 It would be the best memory for the foreign guests to take a photo under the Sakura tree. to see more blooming Sakura. 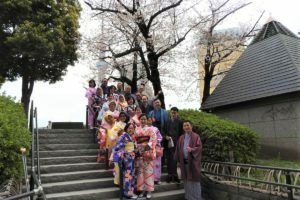 Come and dress in Kimono to visit Asakusa and to see Sakura blooming!